Shannon and Sons, Fore Street. Hugh Shannon was born in Ireland, his wife Louisa was from Plymouth. From census information  the couple appear to have lived in both London and Newcastle during the early days of their marriage. In October 1866 Hugh took employment with Davey, Outfitters, at Fore Street, Devonport - he stayed with Davey for eleven years. He left the employment of Davey around October 1877 and opened his own firm of outfitters, in the same street. As a result Davey took him to court for breach of contract (that he set up in the same trade within five miles, contrary to the terms of his employment contract). The court found in favour of Shannon, and the company he founded continued in business in Fore Street for the next 40 years and more. By 1888 Hugh is joined by his son Alfred with the company renamed Shannon Hugh & Son, and by the close of the 19th century it was documented in the plural - as Shannon H. & Sons. Following WWI Alfred, Hugh's eldest son, had opened additional premises at 86 Fore Street. 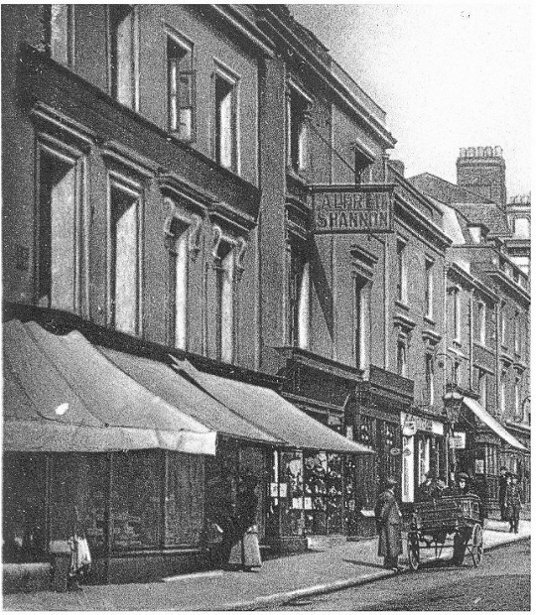 The image is an enlarged section from an early 20th century postcard of Fore Street, the sign shows the name Alfred Shannon. 1873.Three Towns Directory. (Devonport Centre Alphabetical section) Shannon Hugh, 69 Chapel Street. 1895. Eyres Post Office directory. Shannon Hugh & Son, Tailors etc, 21 Fore Street. 1919. Kelly’s Directory, (street directory section) 21 Fore street, Shannon H. and Sons, Naval & Military outfitters. Plus, in the same directory there is at 86 Fore Street, Shannon Alfred, naval outfitter. 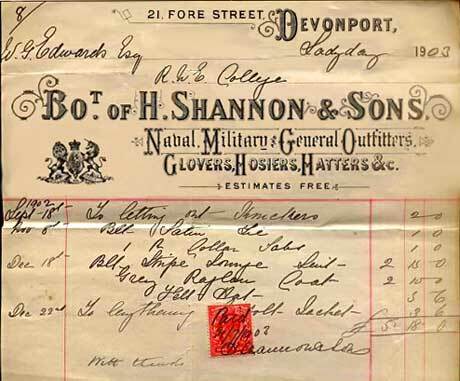 The image below is a scan of an original and attractive 1903 billhead for H. SHANNON & SONS, NAVAL, MILITARY and GENERAL OUTFITERS, 21, FORE ST. DEVONPORT. Note the royal-like crest; although... the words "By Appointment" are not on the document, so it cannot be assumed the crest was officially sanctioned. The receipt, paid and signed with thanks, was issued to W. G. EDWARDS Esq. R.N.E. College, for various items of uniform and alterations to clothing etc. Sword. Sold by 'Taylors Auction Rooms' on 17 Dec 2005. Described as: Royal Navy Midshipman's sword with etched blade in lether and brass scabbard by Shannon & Sons, Devonport, with sword knot, circa 1900. Described as: A Royal Naval midshipman's sword 80cm fullered blade by Shannon & Sons, Devonport, etched with scrolls, a crowned fouled anchor and the Royal Arms, regulation brass hilt with rounded pommel, wire bound fishskin grip, contained in its engraved brass mounted leather scabbard, complete with knot and sword belt. Described as: A Royal Navy Officer's Sword Belt. The short leather hanging strap is missing, although the long strap and fittings are present. The belt was made by "Shannon & Sons, 21 Fore Street, Devonport", and this is stamped on the inside of the belt. The buckle carries a crowned (Queen Victoria Crown) fouled anchor within a laurel wreath, The gilding is worn, but otherwise sound. The leather is worn in several places but otherwise in pretty good condition for its age. Described as: A Royal Navy Officers black bicorn hat by Shannon & Son Devonport, part of satin front rosette missing, small moth nips to sweat band, slight wear to edge otherwise good order in metal tin named to "R.W. Thorn R.N." Described as: A pair of Royal Navy Officers full dress rank boards, large silver fouled anchor on gold board with gold wire edges, gilt King's crown buttons. Reverse stamped 'H Shannon & Sons, RN Outfitters, 21 Fore St, Devonport'. Has both brass lever fasteners on reverse stamped left right. Beautiful quality and heavy. I received a lovely letter in May this year from Jillian Strang (nee Shannon), who wrote ... "As a Shannon, great-granddaughter of Hugh and granddaughter of Alfred Shannon I am naturally interested in the Shannons of Fore Street and would like to add to your account of the family.. Louisa Shannon was Hugh's second wife - the three eldest children including my grandfather were from his first marriage. Alfred joined the family firm, but later, in about 1895, after an argument, set up on his own at 86 Fore Street. The firm made naval uniforms, and, according to my father, had an extensive workshop behind the store employing a cutter and a number of seamstresses and pressers. At the time of World War l, there were two separate Shannon businesses in Fore Street. My grandparents, Alfred and Florence Shannon had four children - their only daughter, Gwendolyn, was to marry Clifford, later Sir Clifford Tozer, who became Lord Mayor of Plymouth. When my grandfather died in 1919, the business was wound up. My grandmother lived until the 1950s." A Wonderful photo of Hugh's son, Alfred Shannon, contributed by his grand-daughter Jillian Strang. England and Wales Census, 1881. The National Archives, Kew, Surrey. Case heard by the High Court of Justice, Exchequer Division, Davey v. Shannon. 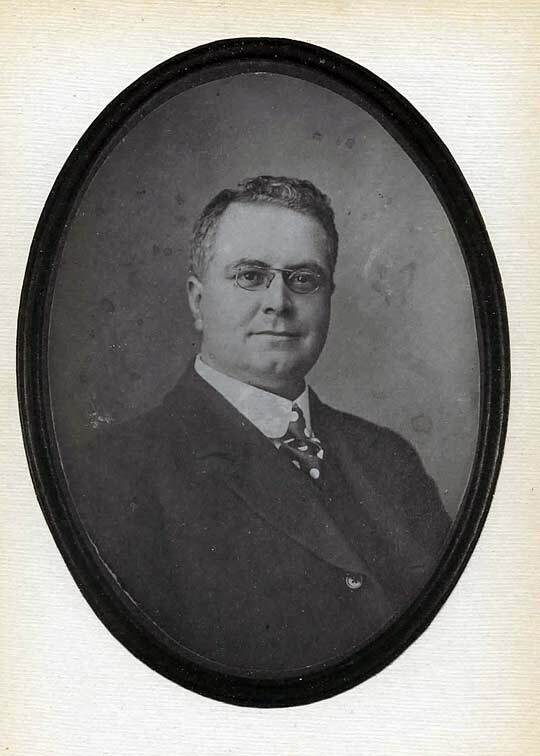 Edmund H. Bennett. - in the American Law Register (1852-1891) Vol. 27, No. 9, New Series Volume 18 (Sep., 1879), pp. 554-561 Published by: The University of Pennsylvania Law Review.